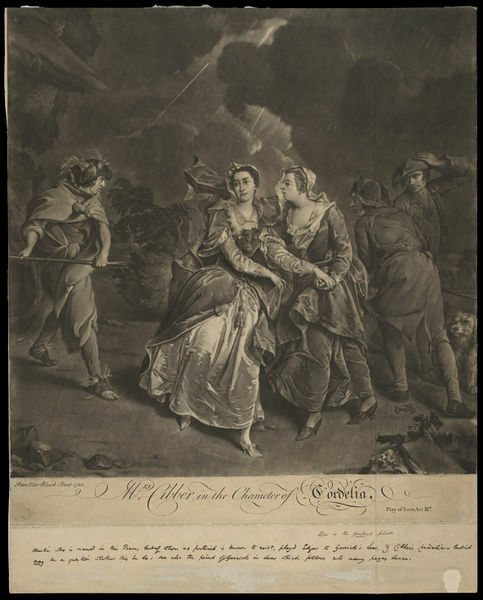 Print depicting Mrs Cibber as Cordelia in Act III of King Lear, after a painting by Peter Van Bleek. 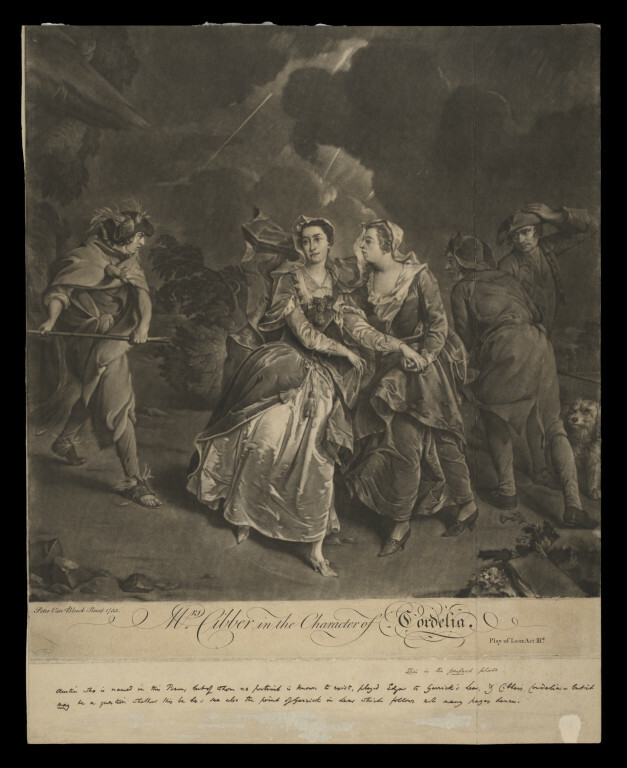 Mezzotint print depicting Mrs Cibber as Cordelia in Act III of King Lear. Print is mounted on fabric. Written in ink on front of print at lower edge. 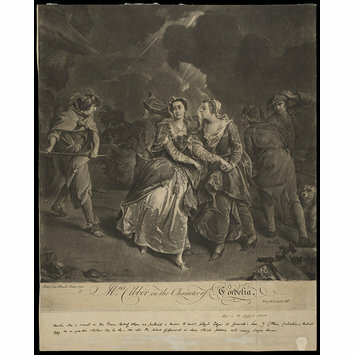 Print depicting Mrs Cibber as Cordelia in Act III of King Lear, after a painting by Peter Van Bleek in 1755, Harry Beard Collection.